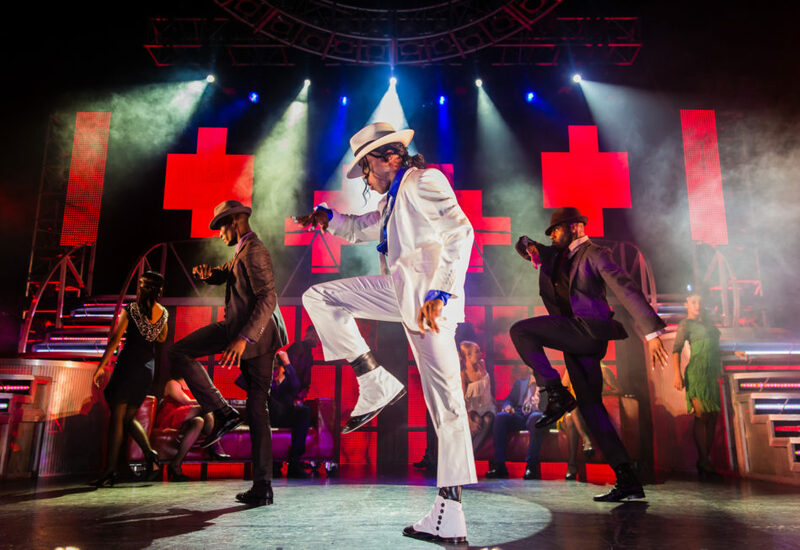 Thriller Live is currently running in the West End as well as being on a UK Tour. 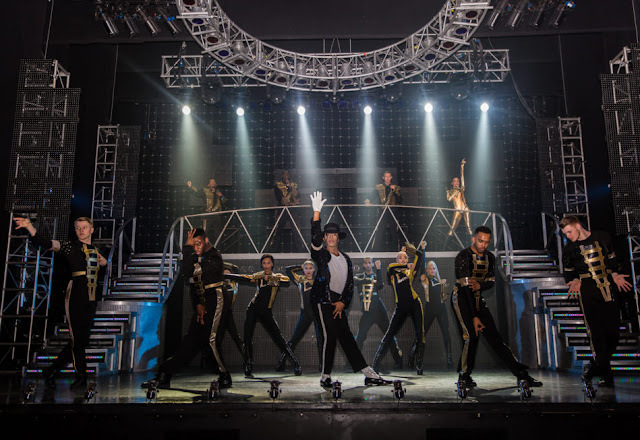 Whilst theres no plot, it's clear that audiences are loving it due to it celebrating and drawing together the songs of music legend, Michael Jackson in a glitzy, concert format. As soon as the show began the two leading performers, Britt Quentin and Shaquille Maurice Hemmans involved the audience and took us from a theatre to a concert. This audience/cast co-ordination lasted throughout the entire night and provided a lot of fun. The performances of all the cast, dancers and singers were great, with not a weak link among them. 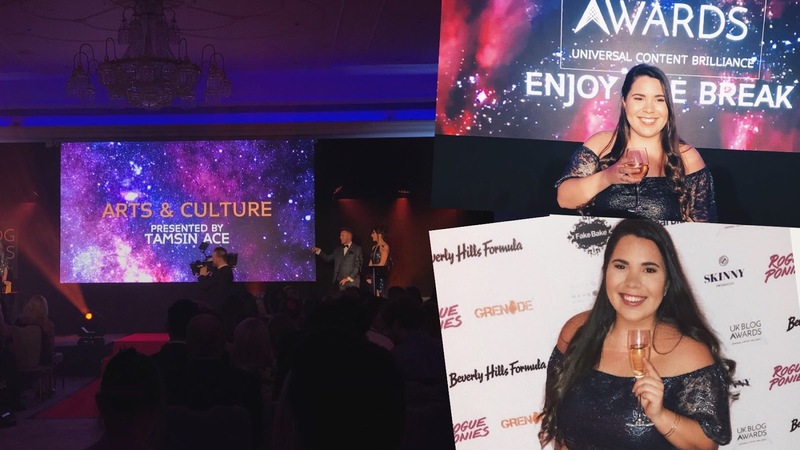 The individuals who stood out to me most were Rory Taylor, especially with his moving performance of She's Out of My Life and Adriana Louise who gave a vocally exceptional performance throughout. Also, the young boy singing as Michael was outstanding. uncanny at times; especially when he did the iconic moonwalk across the stage. It was almost as if he transformed into Michael in front of our eyes. Another interesting part of the show were the special effects which worked very well, especially the screens on stage which again add to the concert vibe. I was very surprised when the screens opened to reveal the fabulous band who kept the night going with energy and precision. Mention must go to the two guitarists, Alan Salmon and Rob Minns who were fantastic. The show's namesake, Thriller, was performed towards the end of the second half and although the set and costumes and performances were good I felt they could have made more of it. However, all in all this is a great feel good show and a fantastic celebration of Michael Jackson songs through the ages. Don't go for a plot but if you want a fun night out with good music, Thriller Live is well worth a visit. 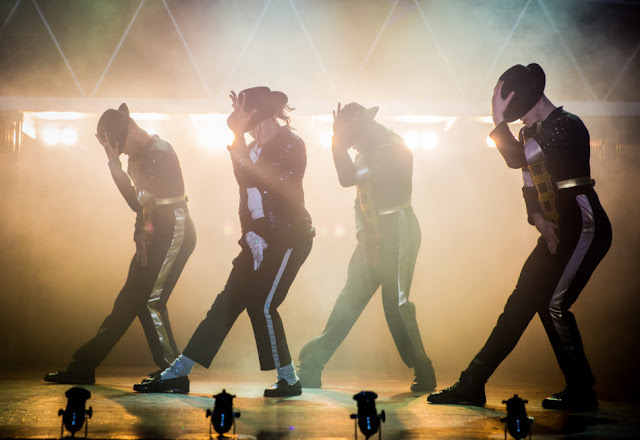 Thriller Live runs at the New Victoria theatre until July 7th before continuing it's tour.